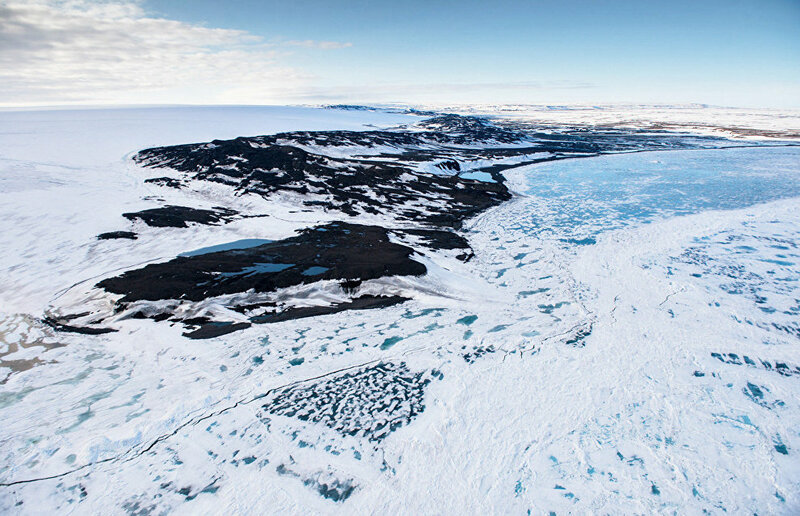 The appearance of soot on Arctic ice may be due to ancient volcano eruptions, said President of Russia Vladimir Putin at The Arctic: Territory of Dialogue 5th International Arctic Forum. He added that Russian scientists are studying the causes of this soot. "As for this soot, <…> Sauli (President of Finland Sauli Niinisto) and I discussed this issue as well. We have different figures on the amount of these emissions, but I told him that when I was in the very north of the Arctic, we saw large accumulations of soot," Putin said. The president said it dated back to the Middle Ages or even earlier when industrial emissions did not exist. "The fact is that a volcano may produce more emissions than humanity, whose emissions are associated with road transport. Nevertheless, this question is very important, and our experts are also working on it," Putin added.